I may be a little mad to even think about doing this BUT I did it anyway. 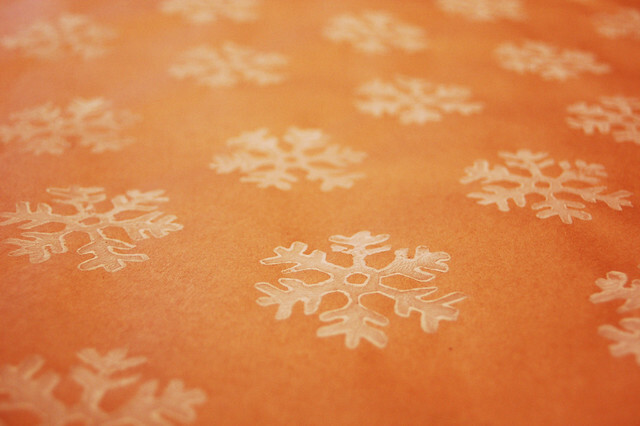 I carved out a snowflake stamp and went to town with some white paint and a roll of brown kraft paper. I am pretty happy with the results.